Youth enjoyed free food, giveaways and music during "Teen Day" on Saturday, June 18, 2011, sponsored by Planned Parenthood Mid-Hudson Valley in Newburgh, NY. 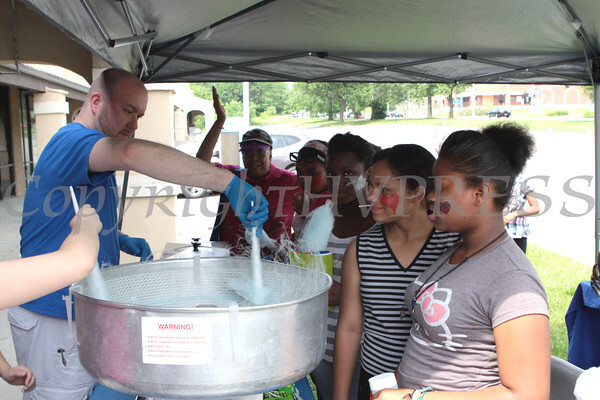 David DesLauriers of Planned Parenthood Mid-Hudson Valley prepares Cotton Candy for teens attending "Teen Day" on Saturday, June 18, 2011. Hudson Valley Press/CHUCK STEWART, JR.